JP Hoe is a singer/songwriter whose fluid melodies morph from indie-rock to alt-country on a dime. With a smoky voice whose weight belies his years – two parts David Gray, one part Peter Gabriel – JP opened for Jann Arden on her 2007 Canadian tour and fans rushed to buy his EP, The Live Beta Project. 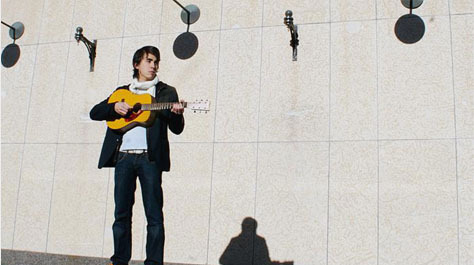 The Western Canadian Music Awards jury considered his full-length debut, The Dear John Letters, one of the top pop recording/songwriting efforts of 2008, and this year will see JP release his fifth album.